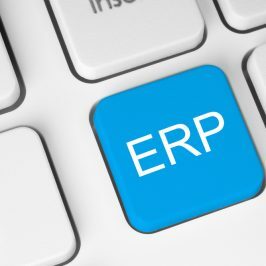 Material Requirements Planning (MRP) has been a cornerstone of manufacturing ever since manufacturers realized they need a way to bridge together their accounting and their inventory forecasting. 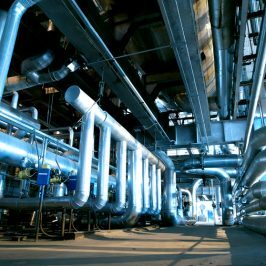 The term is almost as easily identified as Manufacturing Resource Planning (officially MRP II) as the true meaning of the acronym. Companies use MRP for a variety of reasons, but more than 70% of buyers in the report indicated those above features as the top desired pieces of functionality in their MRP software. Why do these three features stand out from the rest? Are they proven to help manufacturers succeed the most? 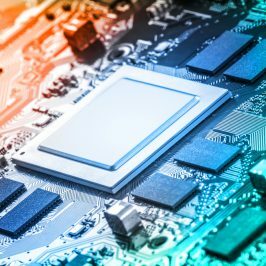 Optimization is the best way to succeed in operating MRP processes. But before you can get there, you need to ensure you’re operating your MRP solution to meet your most desired needs. The core of MRP includes “planning”, which for purchasing means identifying which raw materials are needed for a job. If these items are not available, purchase planning needs to occur. One of MRP’s primary goals will be to give your purchasing team/department a better view of what is needed to complete a job, whether one that has already been ordered or one that is being forecasted. A clear list of materials that are needed combined with adequate quantities of raw materials will ensure that you won’t need to place additional purchase orders in order to finish a job. 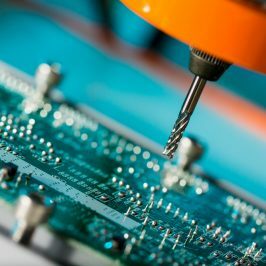 If you leave your manufacturing line in need of components before they can finish a job, you’ll leave the line not operating at its full capacity and waiting to procure parts from the supplier. And since frequent changes in production planning are difficult to account for, it’s no wonder manufacturers listed Purchase Planning as their most desired feature when shopping for MRP. Where there’s supply, there’s demand. Predicting demand (outgoing inventory) will be a key factor in increasing profits in your business. Produce too much ahead of time, and you’re left with too much finished product taking up space in your inventory. Produce too little and you’re not able to fulfill orders on schedule or are backlogged in your production. 2/3rds of MRP buyers are purchasing for the first time, mostly due to growth in the manufacturing sector. With this growth comes a company’s need for forecasting accurately how many jobs/orders they’ll be handling. If they don’t have a grasp on this already, it becomes clear why manufacturers have chosen this functionality as the second most in-demand. 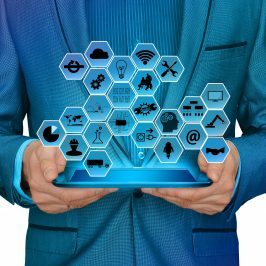 Without any sort of procedure or solution in place to analyze historical data (or capture current data to later be used as historical data), you’ll lose track on forecasting sales, and thus will have no need for purchase planning or production scheduling. 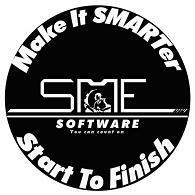 Software helps automate important areas in your manufacturing process, such as production scheduling. The goal will be to develop your own finite scheduling to complete manufacturing jobs. 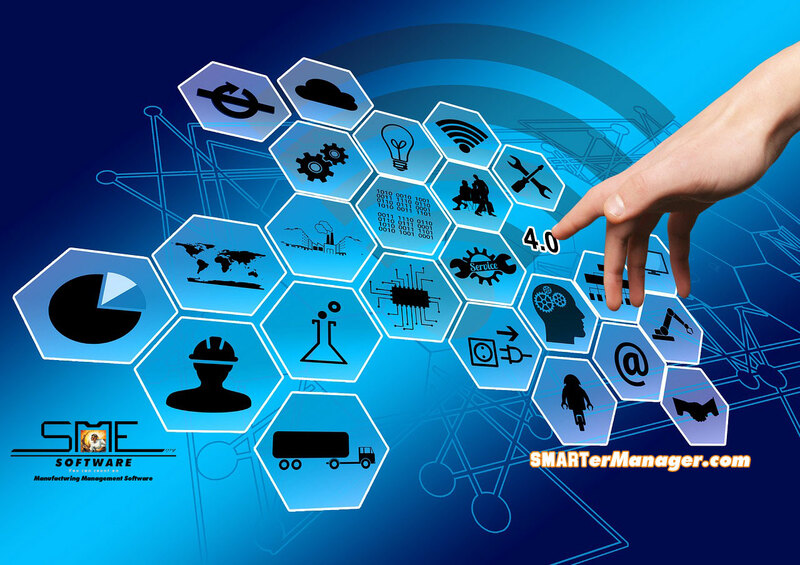 Once available inventory is determined and purchases have been made for anything needed, software plays a key role in looking at production times to lead times on various items that need to be procured, and thus a schedule can be created that highlights the total project time. High volume companies benefit the most from production scheduling, as companies that have less variance in their overall demand will be able to have more of a “routine” schedule. Sometimes production scheduling so complex, that regular MRP simply won’t handle it. You’ll require an MPS solution in that case. The biggest difference between the two software options (and the best way to decipher what type you need) is to look at the items you’re planning for. In short, MRP has the ability to run daily in order to fine tune the scheduling process to fully utilize your production line. Almost all manufacturers are looking to tweak their processes to maximize output. Author Bio: Russ Davidson is a Digital Marketing Specialist at Software Connect, a company that provides free software and application recommendations based in Milwaukee, WI. Since 1996, we’ve helped thousands of companies find the best solution for their needs by understanding software requirements and pointing them in the right direction. 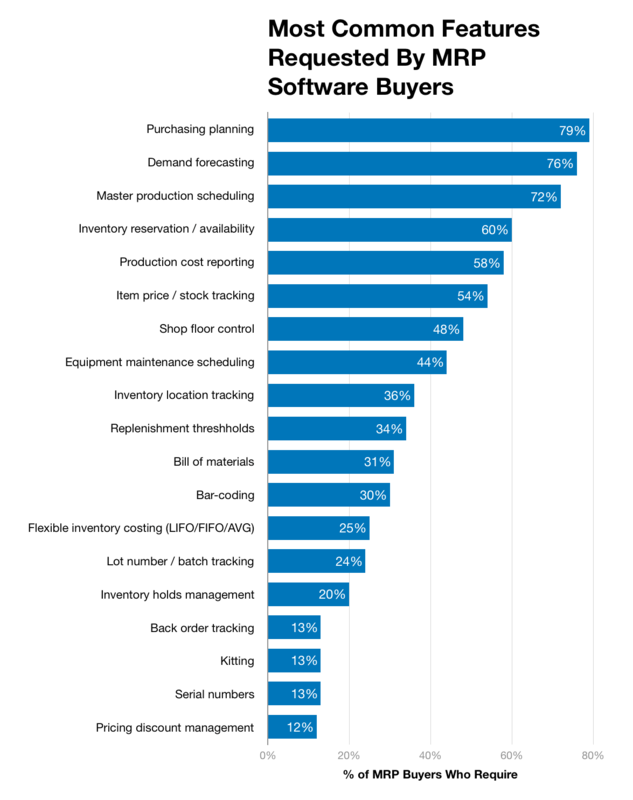 A recent study by Software Connect discussing MRP software buyer trends found these three MRP software features are the most commonly desired.